Congratulations to Ozegirl for winning LOTW! What a stunning LO! 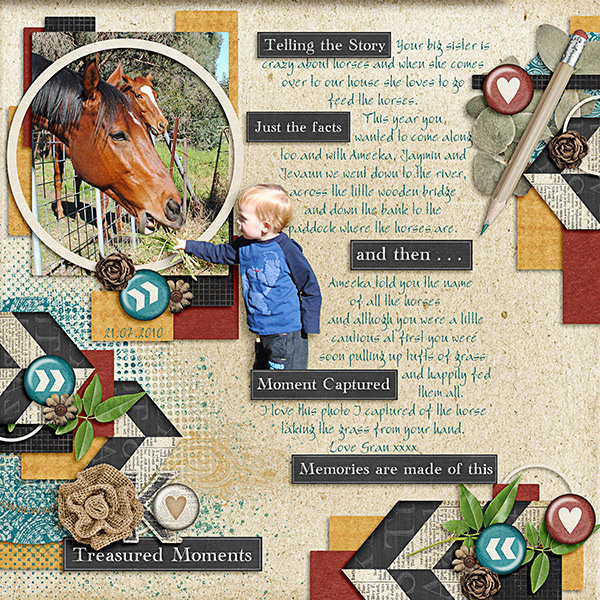 There is so much to love about this LO but I will say I love the journaling with the word tags, the muted colors, the great extraction and the overall composition to name a few things! Click the image to leave her some love or click here to view her entire Gingerscraps Gallery.